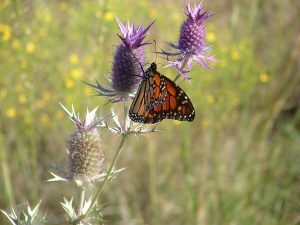 A monarch butterfly nectars on an eryngo plant at Wagley Ranch on October 11. Read more about the monarch and explore David’s notes from the field here. I recently returned to Wagley Ranch near Mineral Wells, Texas to work with some of the very first landowners participating in the emerging Monarch Butterfly Habitat Exchange. The visit was the last on my fall field testing tour of the state, during which I visited five Texas ranchers in just six weeks. It was great to end on a high note at Wagley Ranch, where we had the chance to see southward migrating monarchs. We even saw one monarch feeding on an eryngo plant. 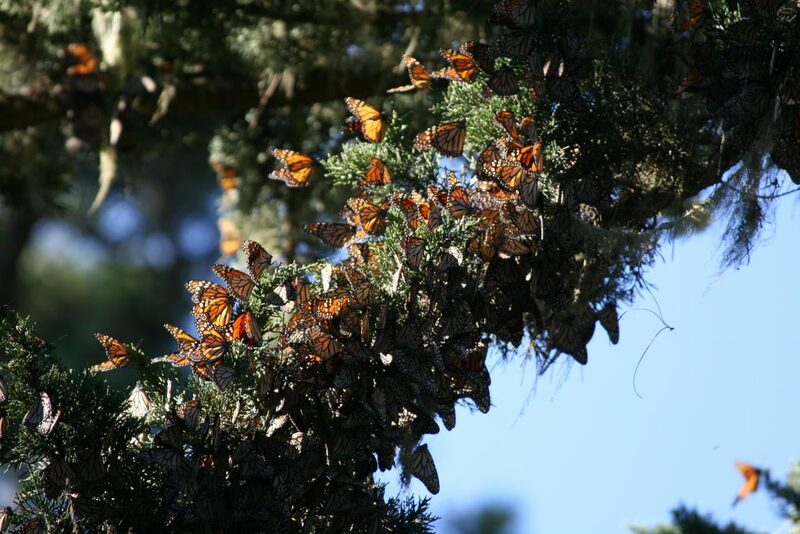 It was a wonderful reminder of why our work with these ranchers is so important, because the habitat they are restoring and enhancing is providing a new home to monarchs. Each acre of healthy habitat restored will support 70 butterflies on their migration to their wintering grounds in Mexico.